The Illinois Department of Public Health (IDPH) is leading the statewide “CRE Detect and Protect” education campaign to promote practices that prevent carbapenem-resistant Enterobacteriaceae (CRE) infections. CRE are extensively drug-resistant organisms (XDROs) with few antibiotic treatment options that can transfer their resistance to other bacteria. These deadly superbugs have been increasingly detected among patients in Illinois. As part of the campaign, IDPH is working with hospitals, long-term care facilities, and laboratories to adopt the Centers for Disease Control and Prevention strategy of detecting CRE and protecting patients through appropriate infection control and prevention measures. 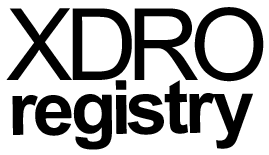 IDPH is providing educational materials and online trainings on CRE prevention and use of the XDRO registry, which is a tool for sharing patient information across facilities and reporting CRE isolates to IDPH. A statewide CRE Task Force comprised of infectious disease and infection prevention experts is helping to guide efforts. Campaign participants have the opportunity to learn from other healthcare facilities, laboratories, and CRE experts committed to this issue. Preventing the spread of these drug-resistant infections will result in better outcomes for patients and reduced healthcare costs in Illinois. The CRE Detect and Protect Campaign is funded by an Affordable Care Act award from the Centers for Disease Control and Prevention. IDPH’s Division of Patient Safety and Quality provided three infection prevention and CRE workshops in 2015. Training workshops were designed to coordinate regional approaches to CRE surveillance and response among infection prevention staff from acute and long-term care facilities, health department staff, and laboratorians. IDPH partnered with the following organizations to plan and provide these workshops: Illinois CRE Task Force, DuPage County Health Department, Cook County Department of Public Health, Chicago Department of Public Health, Illinois Academy of Family Physicians, Downstate Illinois Partnership Against Antibiotic Resistance, Southern Illinois University School of Medicine, American Society for Clinical Laboratory Science – Illinois Chapter. Disclaimer: The opinions, viewpoints, and content presented by speakers in the workshops may not necessarily represent the position of the Illinois Department of Public Health. Description: Free educational webinar on laboratory detection methods of carbapenem-resistant Enterobacteriaceae (CRE) and mandatory reporting to the Extensively Drug-Resistant Organism (XDRO) registry. Hosted by the Illinois Department of Public Health, Division of Patient Safety and Quality. After this session, participants will be able to: (1) Describe mechanisms of carbapenem resistance, (2) List criteria to be used for screening laboratory isolates for CRE, (3) Describe the procedure, interpretation, and application of the Hodge Test and MBL Etest, (4) List the pitfalls of susceptibility testing for the detection of CRE, (5) Prepare appropriate comments for reporting CRE, (6) Outline XDRO registry reporting guidelines, and (7) Explain how to navigate and use the XDRO registry. Description: Informational webinar on Carbapenem-Resistant Enterobacteriaceae (CRE) and the Extensively Drug-Resistant Organisms (XDRO) registry. Hosted by the Illinois Department of Public Health, Division of Patient Safety and Quality. Webinar objectives include: (1) Define CRE; (2) Identify a CRE from a laboratory report; (3) Outline XDRO registry reporting guidelines; (4) Explain how to navigate and use the XDRO registry; and (5) Describe appropriate infection control practices and outbreak response. Description:Informational webinar on patient safety and quality improvement initiatives in long term care facilities, with a focus on reducing healthcare-associated infections. Hosted by the Illinois Department of Public Health, Division of Patient Safety and Quality. Webinar topics include: (1) Discuss the spread of multi-drug resistant organisms and the effect on aging populations; (2) Discuss priorities related to patient safety, infection prevention, and quality improvement; (3) Present ideas on how to structure a system to reduce the spread of infections and save costs; (4) Identify appropriate infection prevention and laboratories resources; (5) Describe requirements for reporting to the Illinois Department of Public Health. Description:Informational webinar on hospital patient safety and quality improvement initiatives, and the role of infection prevention and antibiotic stewardship. Hosted by the Illinois Department of Public Health, Division of Patient Safety and Quality. Webinar objectives include: (1) Evaluate one health care systems approach to establishing system priorities related to patient safety, infection prevention, and quality; (2) Describe the use of metrics in public reporting, tracking & trending, analysis, improvements, and patient outcomes; (3) Explain the prioritization of infection prevention in patient outcomes through structure, focus and measurement; and (4) Examine a system program for mandatory vaccinations for associates and physicians. Description: Informational webinar on Carbapenem-Resistant Enterobacteriaceae (CRE) and the Extensively Drug-Resistant Organisms (XDRO) registry. Hosted by the Illinois Department of Public Health, Division of Patient Safety and Quality. Webinar objectives include: (1) Define CRE, (2) Identify a CRE from a laboratory report, (3) Outline XDRO registry reporting guidelines, (4) Explain how to navigate and use the XDRO registry, (5) Describe appropriate infection control practices. Description: Informational webinar on: (1) Recognizing a CRE case, (2) Understanding how CRE is reported (XDRO registry), (3) Surveillance guidance, and (4) Outbreak response. Link to recorded webinar: http://idph.adobeconnect.com/p9s18rcgk8g/ (*Note that all files, including slides, are downloadable directly from the webinar recording).